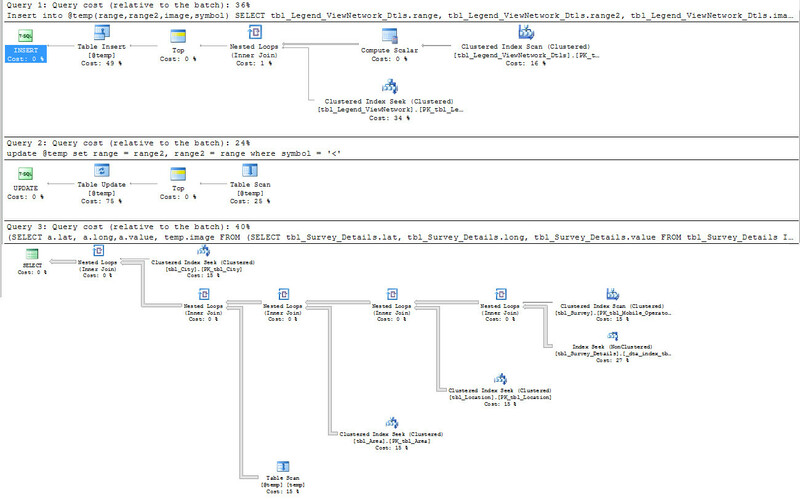 SQL Server has a simple terminology: “Scan” operations read the entire index or table while “Seek” operations use the B-tree or a physical address (RID, like Oracle ROWID) to access a specific part of the index or table.... We will use the value 0 on the table with index to simulate the effect of no index or force index scan where index seek is happening. If any object has a clustered or nonclustered index on it, it will not have entry of index_id =0. Share your execution plans using Paste The Plan @ brentozar.com here are the instructions: How to Use Paste the Plan. I would try explicitly creating your #temp table with the correct datatype, size, and collation (match the size of customerId to the varchar() size of View.customerId). A seek predicate is a filter that uses the index key, in this case the Id column. A predicate is a filter that searches the data set after the seek predicate for a field which is not indexed. 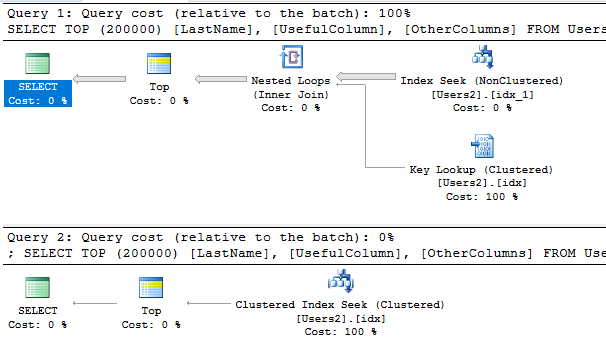 Take a look at the execution plans with and without the index to see if it is a table scan without and index seek with the index. If you hover over the execution plan icon or right click and select properties, you can see how many reads and cpu time was used up in each case.